Bob Geldof on ‘The Destruction of Dublin’ | Come Here To Me! Regardless of what you think about Geldof today, he has been on the ball a few times down the years. And I wonder do you wonder while you’re sleeping with your whore? This city has become increasingly brutalised. The people have lost some of their openness, and I think a lot is largely due to the destruction of the city itself, which was once one of the prettiest cities in these islands and is now a shambolic mess, at best. Tomorrow, I have to bring some of the BBC around the city to show them some of the things I remember and love about the place. Unfortunately, when I went through the list of my memories, 50 per cent of the things I liked had disappeared, to be replaced by the most mediocre, unaesthetic, architecturally inarticulate buildings I’ve ever seen in my life. They are a scandal. They can only be the product of back-handers, political corruption and moral degradation. 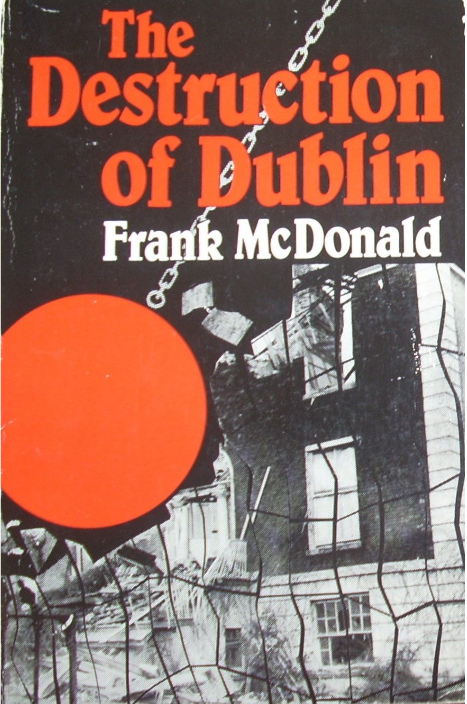 The above quote was taken from Frank McDonald’s must-read The Destruction of Dublin, published in 1985. It’s just gotten worse since then and they’re still at it.